Internal family systems therapy, or IFS, is one of the fastest growing models of psychotherapy today. Focused on psychic multiplicity and the healing effects of compassion, this non-pathologizing therapy has been adopted by clinicians around the world. 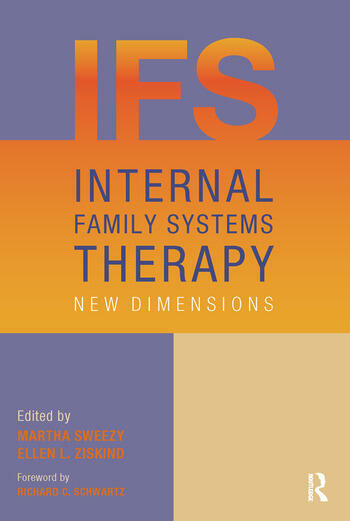 Internal Family Systems Therapy builds on Richard Schwartz’s foundational introductory texts, illustrating how the IFS protocol can be applied to a variety of therapy modalities and patient populations.Each chapter provides clear, practical guidance and clinical illustrations. While addressing questions from therapists who are exploring the model or wonder about its applicability, Internal Family Systems Therapy is also essential reading for knowledgeable IFS clinicians. Martha Sweezy, PhD, is the associate director and director of training for the dialectical behavioral therapy (DBT) program at the Cambridge Health Alliance, a lecturer on psychiatry at Cambridge Health Alliance, Harvard Medical School, and assists at IFS trainings. She is the author of two articles on IFS, "Treating Trauma After Dialectical Behavioral Therapy" in the Journal of Psychotherapy Integration (2011, Vol. 21, No. 1, 90–102) and "The Teenager’s Confession: Regulating Shame in Internal Family Systems Therapy" in the American Journal of Psychotherapy (2011, Vol. 65, Issue 2, 179-188). She has a therapy and consultation practice in Northampton, Massachusetts. Ellen L. Ziskind, LICSW, has been affiliated with Harvard Medical School at Cambridge Hospital, Beth Israel Deaconess Medical Center, Boston Institute for Psychotherapy and Two Brattle Center, leading staff groups and doing group consultation. Currently she is on the faculty at Northeastern Society for Group Psychotherapy. IFS is an integral part of her work with individuals, couples and groups. She has a private practice in Brookline, Massachusetts.